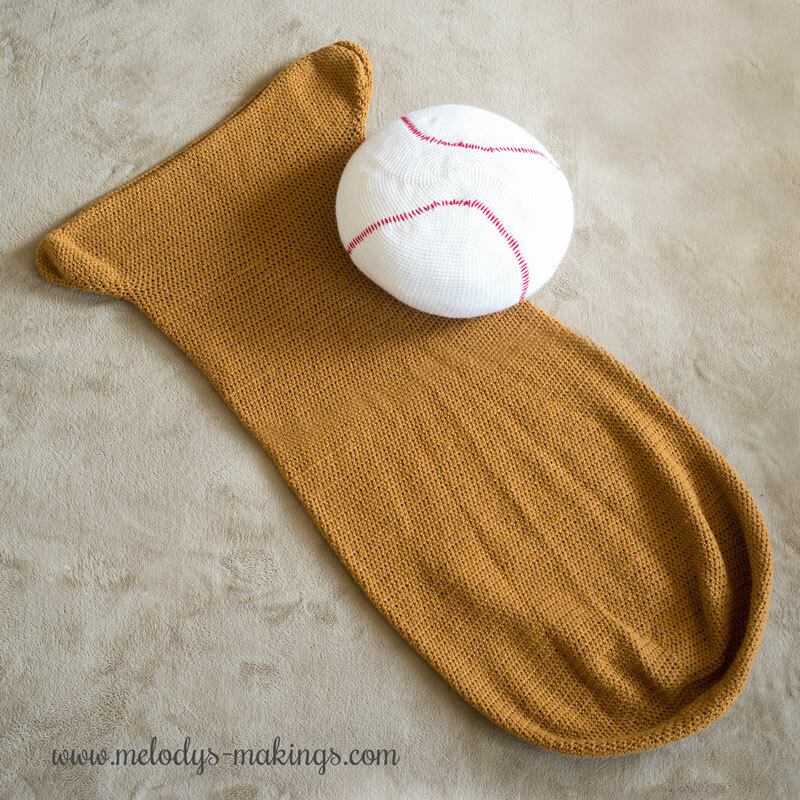 Make your favorite baseball fan squeal with this adorable bat blanket and baseball pillow crochet pattern. Worked in the round, it’s a fun and super unique project that makes a great gift. 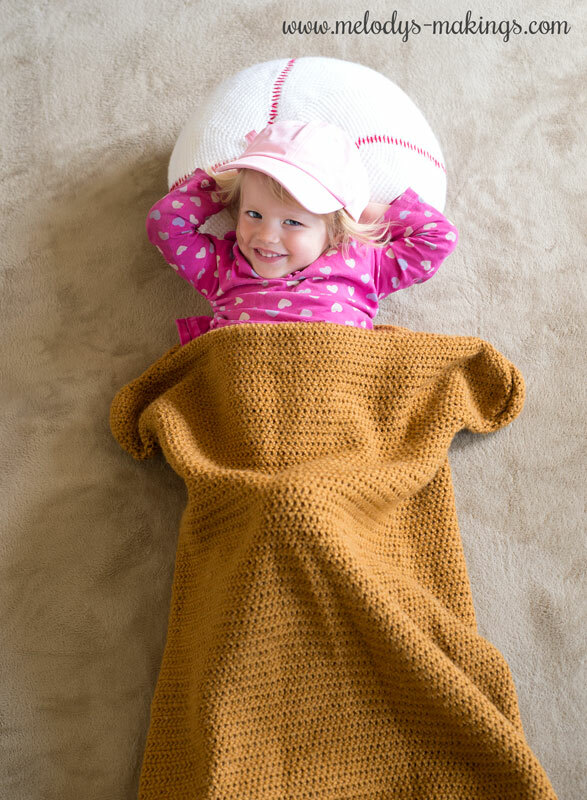 This free crochet blanket pattern features worsted (4) weight yarn and size 5.5mm (I/9) crochet hook. One size fits most children – see measurements listed below. You’ll be working the next section in continuous rounds. Place stitch marker. Continue to DC2tog until the hole at the bottom of your blanket is closed. Cut yarn with an approx. 7 inch yarn tail. Use your yarn or tapestry needle to secure the bottom hole, and secure and weave in all ends. Create a Magic Circle with 6 SC sts in the center using white yarn. Repeat Round 25 until you’ve added approx. 3 inches (7.5cm) from the original Round 25. Continue to SC2tog until the hole at the bottom of your pillow is closed. Cut yarn with an approx. 7 inch yarn tail. Use your yarn or tapestry needle to secure the bottom hole, and secure and weave in all ends.